Organizing activities for alumni groups Cambridge University; McKinsey alumni; Croucher foundation. I joined a-connect in September 2004 to open and co-head the Hong Kong office. a-connect was founded in Zurich in 2002 by two former Directors of McKinsey & Company, it helps large companies in-source professional talent (Independent Professionals) on a project basis. We are a professional staffing business focused to high caliber individuals who usually have worked at a top tier consulting firm or in a senior management role of an international firm, and have an MBA or equivalent degree from a top tier university. I joined Englishtown.com in Jan 2003 as the Director of Sales and Business Development and China Country Manager. Englishtown.com is the leading Internet service for the world’s largest educational market, English language training. Englishtown provides students and corporations with live, teacher-led classes that combine voice-enabled virtual classrooms with rich multimedia content. It is a majority-owned subsidiary of EF Education, the world’s largest brick-and-mortar English training company and a dominant player in a market in excess of 50 billion dollars. On September 2001, I became a Director of a Hong Kong based advance technology company called "Portable Innovation Technology" that specialises in PDA/Mobile/Wireless solutions, more specifically, it has 3 areas of businesses, a) Hardware: PDA peripheral modules; b) Software: Application development; c) Enterprise Solution: Customised mobile solution for corporations. As one of the directors of the company, I was responsible for the company's overall strategy and business development. Portable Innovation Technology is the ODM/OEM for Legend's (the largest computer brand in China) first Palm-powered handheld device. In September 2000, I joined as the Head of Strategy and Client Relations of Spike CyberWorks ('A new economy e-consulting company') which was a joint venture of Pacific Century CyberWorks (PCCW) and Spike Network (Australia). 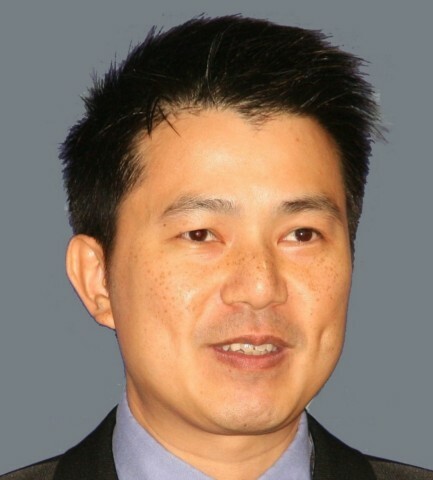 I became the Chief Operating Officer (COO) of Spike CyberWorks, Hong Kong in December 2000. Spike was taken over by a GEM-listed company in Hong Kong called TechPacific in Feb 2001 and TP-Factory (a wholly owned subsidary of TechPacific) was mergered into Spike Hong Kong. I continued to lead the enlarged team until I left Spike at the end of August 2001, after spending exactly 12 months there. Between March and August 2000, I worked for oCen Communications as the marketing manager. oCen is an internet communication service provider with head quarter in Los Angeles, oCen specialises in Voice over IP (VoIP), corporate unified messaging service and online collaboration tools. I was promoted to Director of Business Development just before I left and joined Spike CyberWorks. In January 97, I returned to Hong Kong after completing my Ph.D degree to work as a consultant for a leading international management consultancy firm called McKinsey & Company for over 3 years. During that time, I was advising large multi-national corporations as well as Asian conglomerates (including companies based in China) on critical strategic issues, I specialised in the high-tech, multimedia and telecommunication sectors, I have also been working on projects in the financial and pharmaceutical inductries. I left McKinsey in March 2000. In between my undergraduate degree (1988-1991) and PhD degree (1993-Jan 1997), I worked in a Cambridge based hi-tech company called CEDAR Audio Ltd as system development engineer using Digital Signal Processing. CEDAR is the world leader in hi-tech professional audio processing.